Parties are the perfect time to let loose, catch up with friends and just have fun. And in general, party etiquette follows the standard rules of good manners: Bring your cheer, be friendly and always thank the host. But whether you’re attending a holiday party, wedding, business event or other celebration, you can sometimes find yourself in an awkward situation and wishing Miss Manners were by your side. “There are a few basic tricks you can learn that will get you through uncomfortable party situations with poise and class,” says Lara Shriftman, co-author of Party Confidential: New Etiquette for Fabulous Entertaining . Follow Shriftman’s strategies, and you’ll emerge from these common sticky situations as the polite and gracious woman you are -- and with your festive mood intact. Smart Solution: Make a graceful exit. 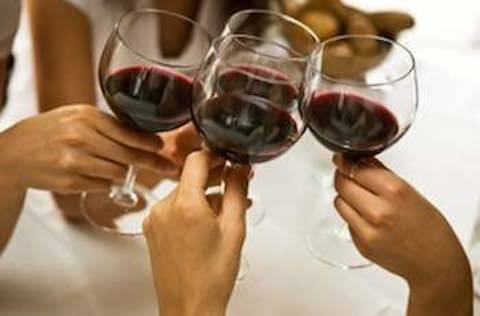 You may be tempted to down your glass of wine so you can escape to the bar, but there's a more polite -- and less intoxicating -- way out of a dead-end conversation: "Excuse yourself to go to the ladies' room," suggests Shriftman. Then actually go, even if to just touch up your makeup. That way, should the guest watch you, she won't feel abandoned. If you'd rather avoid a restroom layover, wait for a lull in the conversation, then say, "Excuse me, I just saw my neighbor/friend/co-worker, and I have to say hi." Said in a warm and apologetic tone, it won't seem as if you're desperate to flee. VIPs, however, are one exception to these escape strategies, says Shriftman. Should your boss's wife be the one droning on, stick it out as long as you can. Then introduce her to someone who may have more in common with her. Stay and chat for a moment, then excuse yourself, recommends Shriftman. This thoughtful method ensures she's not left alone. Smart Solution: Introduce yourself in a clever way. Whether for business or pleasure, parties are a terrific opportunity to network. But a clumsy attempt to meet can backfire, says Shriftman. If the person is talking with a group, join in the conversation. "Don't ever interrupt, though," says Shriftman. It's common sense but also an often-ignored courtesy. If you're unsure how to integrate yourself, say something to a guest on the periphery, she says. Eventually the group will break up, which is the right time to introduce yourself. Too shy to jump in? "Ask someone you know -- a colleague or the host -- to introduce you," says Shriftman. Having a go-between also elevates you from "stranger" to "friend of a friend," which can improve your first impression. Following the name exchange, explain why you wanted to meet the person. Say, "I'm a big fan of your work" or some variation, then follow up with specifics. Knowing you're familiar with her accomplishments puts her at ease for a conversation beyond "nice to meet you." If you have an agenda (e.g., you want to interview at her company), don't spring it on her at the party. Doing so puts her on the spot, says Shriftman. Instead, tell her that you'd love to continue the discussion and ask if you can email or call her to set up a meeting. Then excuse yourself after about five minutes so as not to monopolize her time. Smart Solution: Distance yourself and avoid involvement. Sometimes, mixing colleagues and cocktails together can make painful moments. Should one of those moments involve the boss, make a beeline for the door. Although you may want to prevent -- or witness -- your higher-up's unprofessional antics, it's not your place to play party cop, says Shriftman. Plus, if you didn't see anything, you can't be pulled into the watercooler gossip the next day. To avoid an uncomfortable morning after, stay mum about the encounter. "She probably regrets her behavior, so it's best to ignore the incident," says Shriftman. If she does mention it, put her at ease by saying, "Don't worry about it. Everyone has those nights." The comment is a nonjudgmental way to close the book. Smart Solution: Redirect the focus of the conversation. Most people loosen up when enjoying a party, especially after a glass of wine -- or three. Lowered inhibitions, however, can lead to uncomfortable or inappropriate discussions. Should a fellow dinner-party guest say something sexist or racist, your indignation probably says: Confront him now. But that's a mistake. "Instead, excuse yourself to the ladies' room if you're truly uncomfortable; never make a scene," says Shriftman. "It's rude to your host and the other guests, since a confrontation is likely to ruin the evening." You could also change the subject. Complimenting the food, for example, draws attention away from the uncouth guest and brings praise to your host -- a double bonus! If you must address the offender's tactlessness, "say something later, one on one," says Shriftman. And, take a non-combative approach, like this one: "It upset me when you made that joke, and I just needed to let you know how I feel." Above all, don't let one comment ruin your evening. Take a deep breath and focus on the positive aspects of the night, like the chance to connect with friends. Smart Solution: Use crafty conversation starters. Standing around awkwardly is no fun, so use your solo status to meet new people. Your first stop: the bar, even if you only drink soda. Usually the guests there are on their own or in pairs. And chances are, they won't be in the midst of a serious conversation. "The best starter is asking how someone knows the host," says Shriftman. Starting out with something you both have in common -- your mutual friend -- naturally jump-starts an introduction and chat. Next, you can mention something about the party and the occasion -- the holidays, a housewarming, a promotion. If you're still stumped for fodder, rely on a stock of open-ended (not yes-or-no) questions: Where are you traveling for the holidays? What good books have you read recently? I love your outfit, where did you get it? It signals that you're interested and engaged, and you transfer the responsibility of talking to someone else. Soon enough, you'll have worked the room and forgotten about your solo status. And remember, parties are supposed to be fun. Knowing a few advanced p's and q's will help you relax and celebrate without concern. Woman to Woman: "Calling Miss Manners"